Our Bacopa collection of plug plants will save you time and money, as we will select a good mix of plug plants from our range of Bacopa. 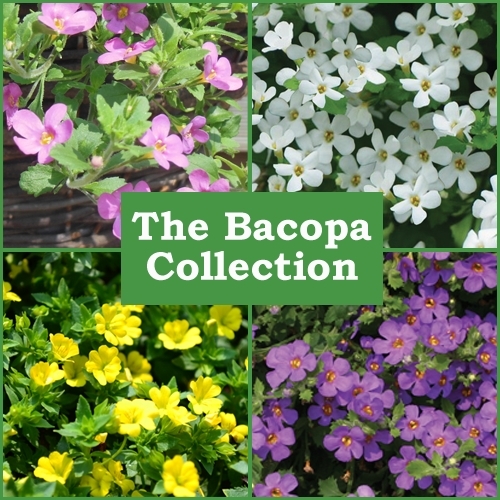 Bacopa are trailing plants which are ideal in hanging baskets or tubs. To fill a 12″ or 30cm hanging basket or tub of mixed plants, we would recommend using 4-5 plugs. All plants come with matching colour labels, so if you have a favourite, you will know what to order next year!